Nightforce Optics has a couple new optics in store for 2016 as well as some new accessories. The following are a few Press Releases from Nightforce. The new Nightforce Competition™ Fixed 42 x 44 riflescope combines unparalleled precision with exceptional value for the competitive shooter. This riflescope is purpose built for short range competitive shooting, where weight is an issue. By eliminating the inherent weight of a variable-power mechanism, the Competition™ 42 x 44 weighs just 20.7 ounces. Its ED glass provides exceptional resolving power and color contrast, bringing clarity to the smallest target at extreme ranges. As with all Nightforce riflescopes, the Competition’s mechanics are extremely robust, impervious to recoil. 1/8 MOA (.125 inch) adjustments track true and without backlash. Side parallax adjustment focuses to under 10 meters, making it an excellent choice for rimfire and air gun competitions, as well as for large caliber and long-range applications. Every advantage for the serious shooter has been included, such as high-visibility engraving, fast-focus eyepiece, sunshade, lens covers and a choice of proven Nightforce CTR-2™ or CTR-3™ reticles. This new riflescope joins the Competition riflescope family, which includes the extremely successful Competition™ 15-55 x 52, the riflescope chosen by the U.S. F-Class Rifle Team for their campaign to the 2017 World Championships. The Nightforce Competition™ Fixed 42 x 44 retails for $1795 in the US market. Nightforce has announced their first SHV™ riflescope built with first focal plane reticle technology, the SHV™ 4-14 x 50 F1. This is the latest addition to the company’s popular SHV™ line, winner of two consecutive Outdoor Life Editor’s Choice awards. The new riflescope features intelligent reticles with illumination that turns off between each of 11 brightness settings, allowing the user to pre-select an illumination level appropriate for lighting conditions, turn it off to preserve battery power, then restore it instantly with a one-click rotation of the dial. This prevents having to cycle through multiple brightness settings, which takes time and can affect the shooter’s night vision. The proprietary Nightforce MOAR™ and MIL-R™ reticles are offered. The SHV™ 4-14 x 50 includes side parallax adjustment, and offers windage / elevation adjustments in .25 MOA or .1 Mil-Radian increments. It has an exposed elevation turret with Nightforce ZeroSet™, which provides the user with a positive return to their zero point regardless of how many elevation adjustments have been made. The windage adjustment is capped for protection, but the cap can be removed and the windage adjustment used fully exposed. The SHV™ 4-14 x 50 allows 90 MOA of elevation adjustment and 70 MOA windage within its 30mm tube. Nightforce Optics has added several items to its growing line of shooting accessories. New are Standard Duty Rings, providing an ideal combination of durability and value. Available in .90, 1.00, 1.25 and 1.50 inch heights for 30mm tubes, the straightforward two-screw design of the new Standard Duty Rings require less front-to-back mounting space, ideal where installation choices are limited. A positive locking jaw design and machined recoil lug provide perfect alignment and superior accuracy when mounted to Mil. Std. 1913 bases (also available from Nightforce). These new rings are a quality option available to shooters for under $100 retail. The new Nightforce MultiMount™ was originally designed as a platform for close-range sights to be mounted in conjunction with a primary riflescope. The MultiMount™ offers far more versatility, however, functioning as a user-configurable system providing a rock-solid base for any Mil. Std. 1913 accessory that will fit. Designed to replace the top half of an X-Treme Duty™ ring, the MultiMount allows placement of a Mil. Std. 1913 rail at the 45-degree left, 45-degree right and/or 90-degree up positions. Two rail sections are included, along with mounting hardware. The MultiMount™ is available for 30mm and 34mm X-Treme Duty™ rings. The RAP™ (Ruggedized Accessory Platform) provides four inches of Mil. Std. 1913 rail space above a riflescope for the mounting of lasers, illumination tools and other accessories. Replacing the top half of Nightforce four- and six-screw X-Treme Duty™ rings, the RAP will withstand heavy recoil and still maintain zero even with delicate accessories or sensors. The new Compact Magmount™ adds to the tough and reliable Nightforce Xtreme-Duty™ Ultralite Unimount™ and Magmount™ mounting systems, with titanium / aluminum construction providing the performance of steel at half the weight. The Compact Magmount™ requires less rail space than the traditional Magmount, and is available to fit 30mm and 34mm riflescope tubes. Options available include both zero MOA and 20 MOA of taper. Nightforce manufactures an extensive array of rings, mounts, bases, and related accessories created to maximize accuracy and performance, especially when used in tandem with a Nightforce riflescope. 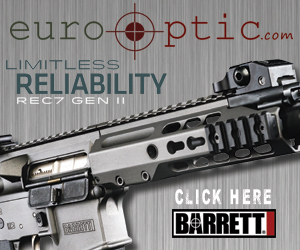 For more information call 208.476.9814 or visit www.NightforceOptics.com. Browe Inc, the makers of the Browe Combat Optic (BCO) and the Browe Sport Optic (BSO) have now released a new variant of the BCO, the Browe Tactical Optic (BTO). The BTO is for all intensive purposes the same as the BCO with the exception that the BTO features an Aluminum housing in lieu of the BCO’s Titanium housing. There will be some weight savings with the BCO, however the MSRP of the BTO ($1250) is $300 less than the BCO ($1550). The BSO is only available in Aluminum and MSRP’s for $999. Though the BCO and the BTO feature illuminated reticles, the BSO is a “day optic” with a chargeable reticle that can be charged with a flashlight. The “charge” will give you a bright setting for approximately 3-5 minutes and will remain “charged” at a brightness comparable to tritium for approximately 5 hours. For more information on Browe, visit http://www.browe-inc.com/. Samson Manufacturing has announced a new optics magnifier for 2014. The 3.5x magnifier includes a flip to the side Rotary Actuated Mount (RAM). The magnifier offers a clear, crisp picture and with the 35mm objective, light transmission is more than adequate to accommodate a wide variety of optics. The flip to the side RAM is also available as a stand-alone unit and will accommodate both Aimpoint and EOTech magnifiers. Additionally, Samson Manufacturing has introduced new Key-Mod accessories to include a HK Sling Hook Attachment Point, a QD Sling Point, a Handstop, and 2, 4, and 6 inch rail sections. The Key-Mod accessories retail between $19.00 – $55.00 and the price has yet to be set for the flip to the side RAM. For additional information visit, samson-mfg.com.